A few weeks ago I mentioned that my couch pillows were in need of replacing. 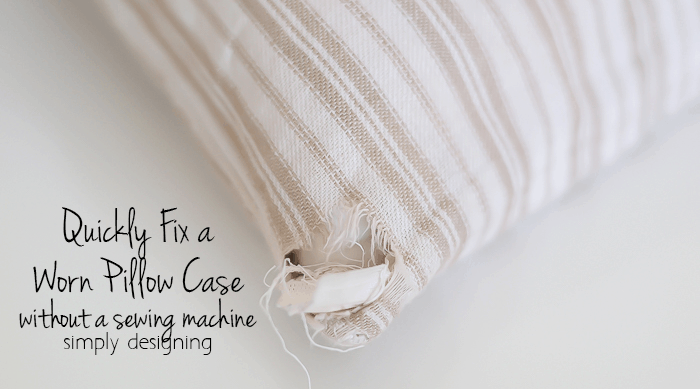 I did a quick Hack and our pillows were fixed for a short time without a sewing machine! (see all the details HERE) It was fast and simple and got the job done. But really, I needed new pillow cases. I have looked high and low for pillow cases but my pillows are apparently an odd size and so I had trouble finding pillow cases that would fit correctly and found nothing that I liked. So I knew my only option was to make my own pillows. 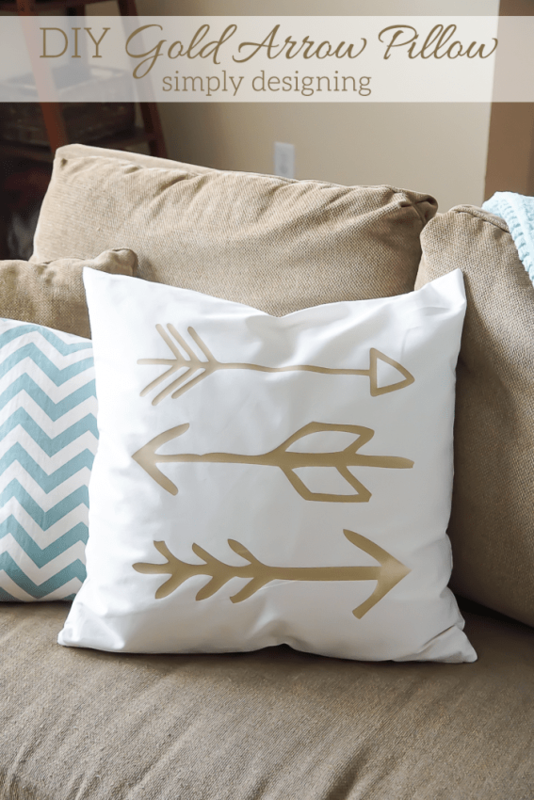 So today I am sharing how I created these fun Gold Arrow Pillows! 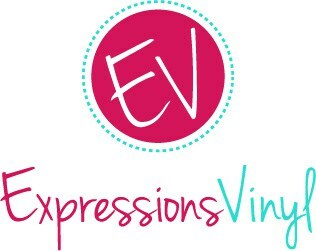 A big huge thank you to Expressions Vinyl for sending me vinyl to help make this post possible today! 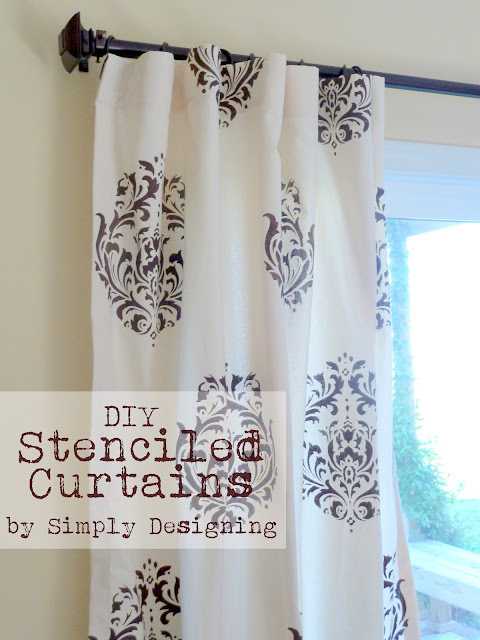 If you know me, you know I don’t bring out my sewing machine very often, but when I do it is always for a fun project like these fun Stenciled Curtains. 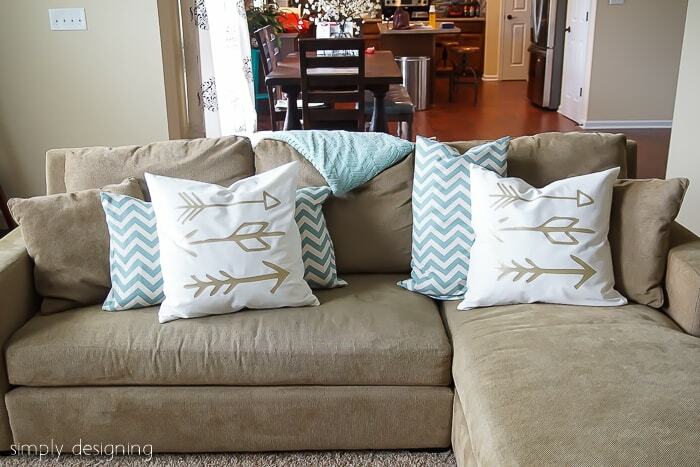 And I had a lot of fun creating these DIY Gold Arrow Pillows! Sewing two pillows was not too difficult and I even managed to figure out how to put an invisible zipper in (which I have never done before). I wanted a simple white pillow case in a thick yet soft fabric. I went to my local store and found a beautiful white twill fabric that was exactly what I was looking for! I also snagged two invisible zippers and went home and worked on sewing the pillow cases! The pillow cases were essentially 2 squares sewed together, inside out, on three sides. Then I sewed in the invisible zipper and my pillow cases were ready to go! 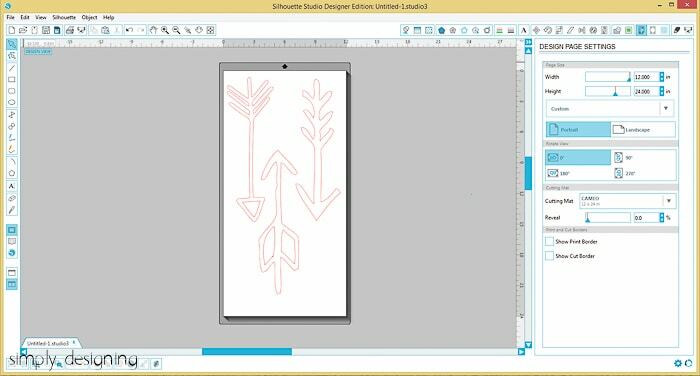 Next I designed my arrows in my Silhouette Studio. I really love my Silhouette cutting machine and highly recommend it if you are looking for a vinyl or paper cutting machine! I found two different arrow sets I liked and downloaded them from the studio store. I picked my three favorite arrows and laid them out in the program. We decided to go with a more hand-drawn look and I am really happy with how they turned out! I drew a square the size of my pillow in the software program, and sized the arrows to fit. Because my pillow cases are 22″ x 22″, after I had everything sized, I had to squeeze my arrows a bit closer together in order to fit them all on a 12″ x 24″ sheet of vinyl. This is what my design looked like in Silhouette Studio prior to cutting them out! 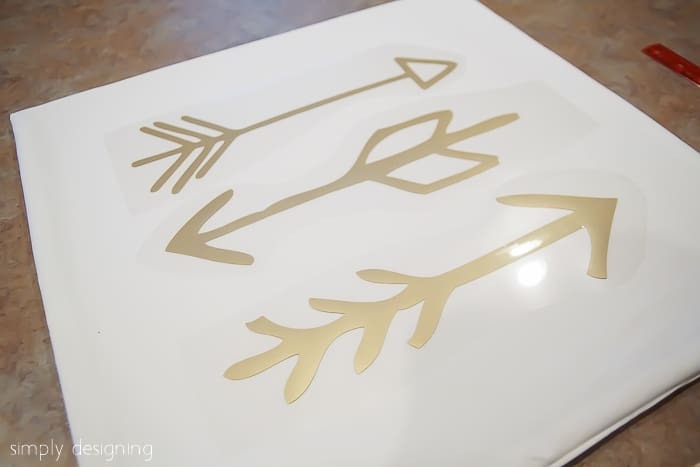 I set my cut settings for heat transfer vinyl, did a test cut to ensure all my settings worked properly, and then I cut out my arrows using Vegas Gold Heat Transfer Vinyl. I cut out two sets of vinyl because I made two pillows. Remember when you are cutting heat transfer vinyl, that the shiny side goes down. And if you have a design that is directional or has words on it, remember to mirror (flip) your design prior to cutting it out. Then I weeded the excess vinyl off and placed my arrows on my pillow cases. I took care to line the arrows up nicely and I pinned them in place. Next I used my iron to iron my vinyl onto my pillow cases. I placed my pillow case down with the vinyl on top of it (shiny side up.) This clear backing is now acting as your transfer tape. Then I placed a piece of cotton fabric down to protect my pillow case and vinyl and ironed the vinyl in place. I let the vinyl cool completely and then gently peeled the transfer tape off and my pillows were complete! Oh I just love how these turned out! They really are so pretty and fun! And the best part is that they are soft and comfy to lie on. And the vinyl looks amazing!! 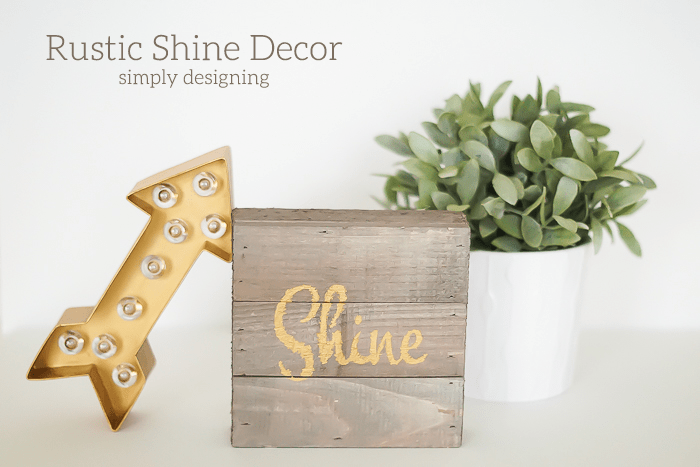 It is such a fun beautiful gold color that matches perfectly with my room and is such a trendy color right now too! I am so happy to have new pillow cases on my pillows on my couch! 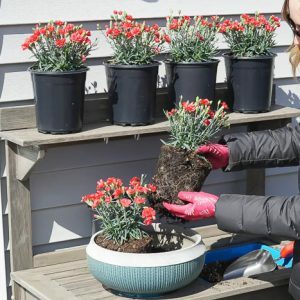 We so desperately needed new ones and I love how modern and trendy these are! I can’t believe I created them myself! I am so excited to be participating in an Ultimate Vinyl Blog Hop! 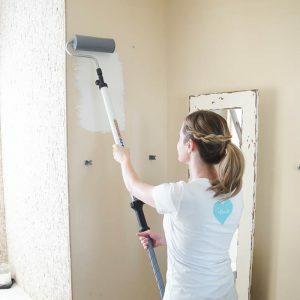 So check out these other amazing posts below for more fun vinyl ideas! Awesome pillows, I must try the gold HTV! I love this idea! 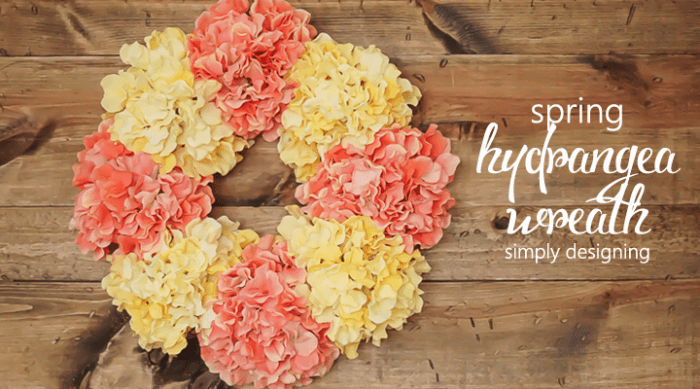 So cute, and easy enough to do that you could make tons of different designs. Thanks for sharing! I love your style! 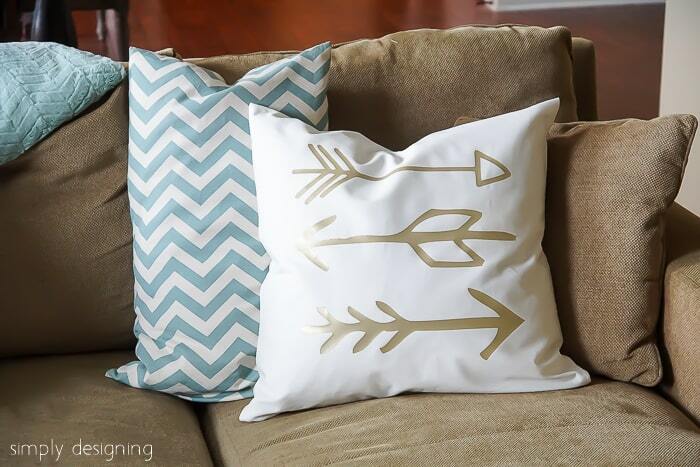 The gold & white go together perfectly and what a great way to use vinyl. I want a pair of my own! I’ll be pinning this! 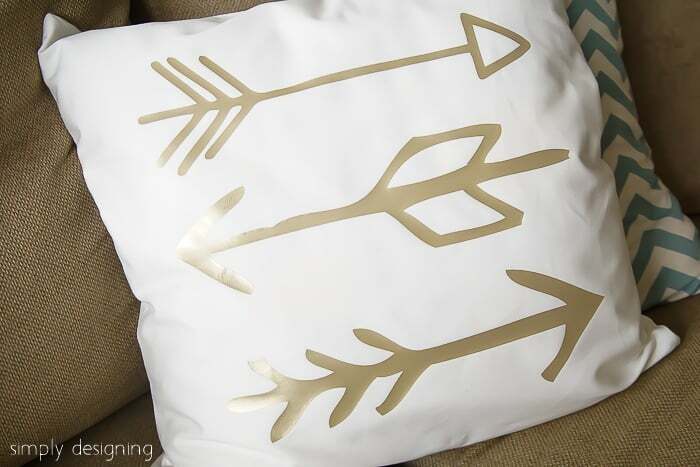 I’m so loving gold anything right now and this pillows are amazing! 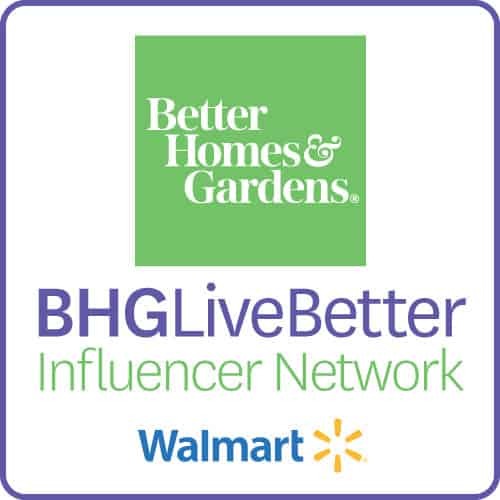 Featuring this weekend on our Celebrating Bloggers Weekend Features post with a link back to you. Hope that’s ok. 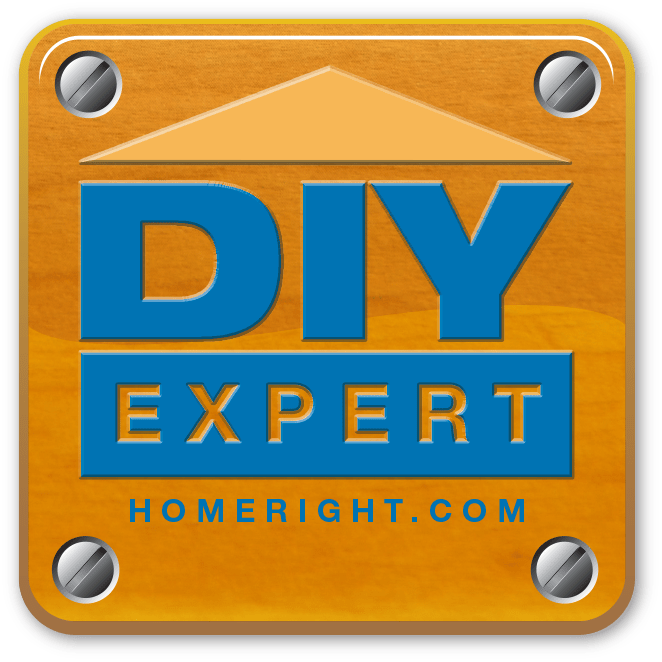 I can send the link when the post goes live if you’d like to share on social media. Love these, thanks for sharing! I’m ashamed to say it, but I haven’t tried out vinyl AT ALL since I got my Silhouette. If you don’t mind me asking, what did you use to fill your pillows? I had pillow forms already that I used to fill these with. 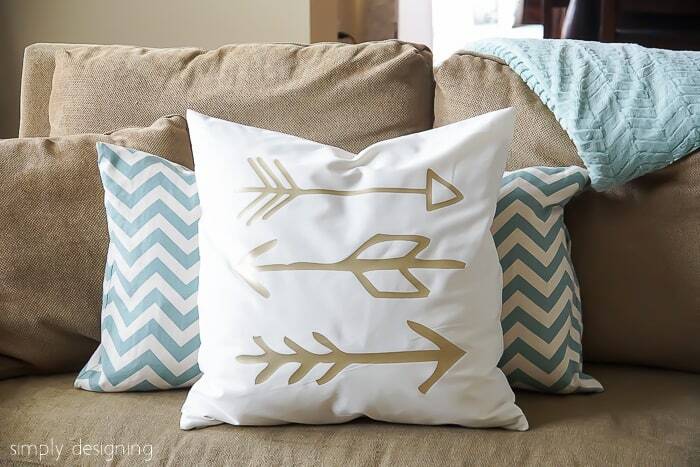 I adore your arrow pillows, but I cannot find the arrow sets in Silhouette Studio for the life of me! Who is the designer? Thank you in advance!